This event is hosted by Cardiff-by-the-Sea Library. 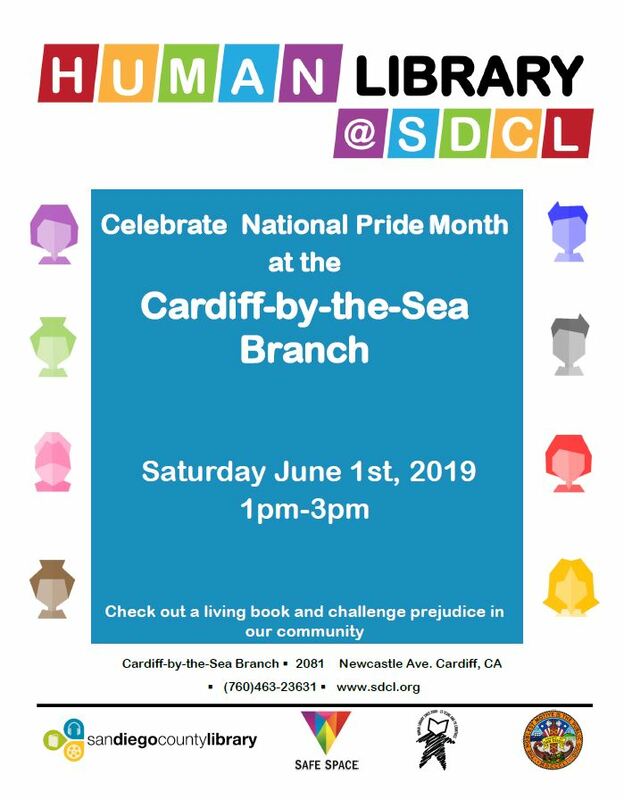 Celebrate National Pride Month at Cardiff-by-the-Sea Branch! Check out a living book and challenge prejudice in our community at their Human Library program. A Human Library is an event that aims to create dialogue and understanding between people. Individuals volunteer as human ‘books’ and participants in the event can ‘read’ the book- meaning they would have a one on one conversation with the volunteer and share in a dialogue about that individual’s experience.